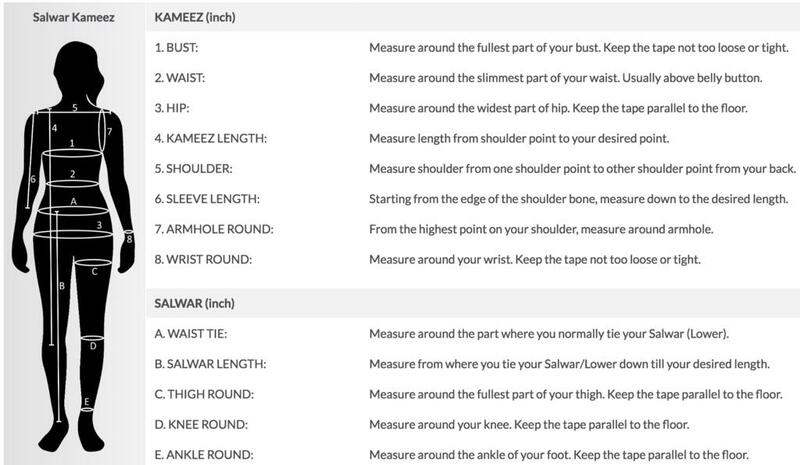 Provide your body measurement and our tailors will suitably stitch the dress by adding appropriate loosening. Make sure you measure carefully and double check with it. It is a good idea to have someone else measures you. Please keep in mind that you should be wearing normal clothes or undergarments. Jeans and heavy blouses are not recommended while being measured. Lay the tape measure flat against the skin; don't pull it too tight, nor let it drop. You can send us your measurements on post@marianasir.com or on Whatsapp/Viber +4748600214.